The royal commission report into family violence, handed to the Victorian parliament on 29 March after more than a year of hearings, constitutes many things to different people. For victims and survivors, it likely comes as catharsis. For too long, their experience of abuse had been dismissed as conflict between intimate or former partners, or between family members, not a subject for police attention or public policy. The report is a definitive correction of the persistent view that violence in the home is a private matter. For activists and advocates, it is vindication. Overwhelming demand across services for women and children in need of protection, as well as family violence-related fatalities, indicate significant system failures. The comprehensive character of the royal commission report is thus received as overdue. For politicians, the report is a formidable test. Family violence victims come into contact at multiple points across different departments. This means that an overhaul requires a serious outlay of secure funding. The required investments are wide-ranging, from physical infrastructure to information sharing models, tech-related upgrades, localised response hubs, additional personnel and professional training, governance structures, and research and formal review. This isn't a new menu — it is a full kitchen rebuild. The royal commission also suggests the development of guidelines for removing barriers to seeking and receiving support in other spaces. Things like: adding family violence to eligibility criteria for private subsidies or hardship programs; customer service training around recognising economic abuse; routine assessments for family violence risk at antenatal settings or mental health services; and managing liabilities (debt, rent, infringement fines) in favour of victims rather than their abusers. The imperative is to fix the cracks through which victims often fall. For diverse communities, workplaces, utility providers, banks, landlords and healthcare providers, this is a wake-up call. Being able to identify family violence situations and responsibly handle them can no longer be passed on as 'none of our business'. Everyone is implicated. For institutions such as the police force, courts and corrections system, the report must be nothing less than a turning point. The recommendations reveal gaps — such as the way case files are built and shared across agencies, the efficacy of intervention orders and safety plans, and capacity levels at magistrates' and children's courts. "Being able to identify family violence situations and responsibly handle them can no longer be passed on as 'none of our business'. Everyone is implicated." 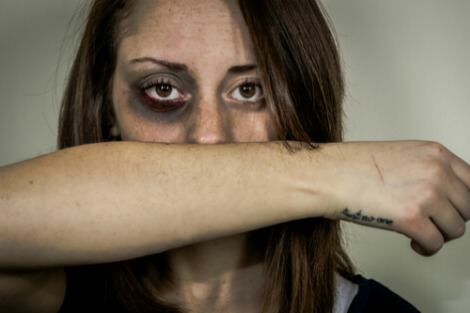 While cultivating gender equality and respectful relationships runs parallel to structural reform, the degree to which family violence is curbed may well hinge on such institutions. Victims and survivors deserve a system that works for them, not against them. As long as processes for ensuring their protection and recovery are burdensome and demoralising — rather than liberating — then the system remains broken. Secondly, protective measures (orders, injunctions, sentences, mandatory programs) must bear strength as deterrents. Perpetrators thrive on impunity. Impunity is built on uncertainty of punishment, cultures of silence, victim-blaming and perceived collusion with figures of authority. It also assumes that there are no alternatives to abusive or violent behaviour. Dismantling this is central to violence prevention and ensuring the safety of women and children in the home. The royal commission addresses this goal across 227 recommendations. But the report is the map, not the road. Political will, as with other royal commissions, will determine the extent to which this inquiry has been worthwhile.